Free download StartW8 latest version. StartW8 is a FREE but powerful tool for Windows 8 users. Do you prefer desktop to modernUI? Would you like to logon directly to desktop? And than use Start menu for runnig your apps? Then it’s right for you. Get Start menu back in Windows 8! Just like you, we refused to accept this situation, which is why we decided to make Start menu of our own. We put it back to Windows and we even added a few new features. We call it StartW8 and now you can use it too. It’s free, quick & easy. 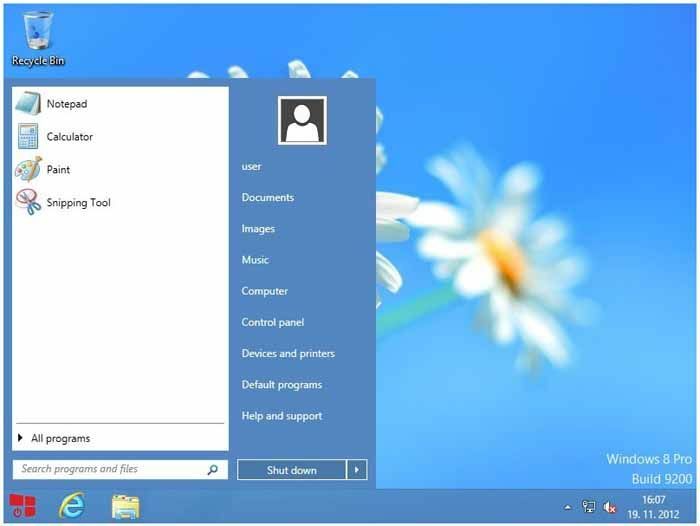 StartW8 is the Start Menu Replacement for Windows 8, which replace missing Start button in Windows 8 for you. 32bit or 64bit version of Windows 8/8.1 or Windows 8 Pro, or Windows Server 2012. Local admin rights needed for aplication installation through MSI install package. The application is free of charge and you can use it for both personal and business purposes.